Rashmi Prabhakar is an experienced financial services technology professional driving Strategic Initiatives as Chief of Staff for Global Services for Finastra, the world’s third largest FinTech providing Retail, Corporate, Treasury & Capital Market solutions to a 9,000 strong customer base across 130 countries. Rashmi has a proven track record in Stakeholder Management, Sales Enablement, Account Strategy & Executive Governance to boost Customer Engagement and Business Growth driving successful Customer outcomes. She has led Risk & Regulatory Technology & Change Programmes at Financial Institutions and Commodities trading firms. Rashmi spent her schooling years in India, graduated with a Computer Science Engineering degree and lives in London with her husband of 20 years and two children, aged 10 and 5. She is a huge advocate of Diversity and Inclusion, mentors potential talent and is the global workstream lead for Unconscious Bias workshops at Finastra which promotes self-awareness, cultural change and mindset shift and by virtue of this, the commercial impact of diversity of thought. You can follow Finastra on Twitter @FinastraFS. Prior to joining Western Union Business Solutions Jacqueline held executive committee roles at Lloyds Banking Group, and Standard Chartered Bank where she achieved double digit growth for three consecutive years Jacqueline has also spent 10 years in a variety of senior roles at SWIFT. During this time she gained extensive and diverse product management experience including real-time cash management, payments exceptions and investigations, bulk payments, foreign exchange and derivative netting and matching products. You can follow Western Union on Twitter @WesternUnion. Smriti Vicari is the Head of Fintech at Visa Europe. She oversees Fintech engagement, strategy and delivery activities, ensuring that Visa remains partner-of-choice for Fintechs, platforms and intermediaries. 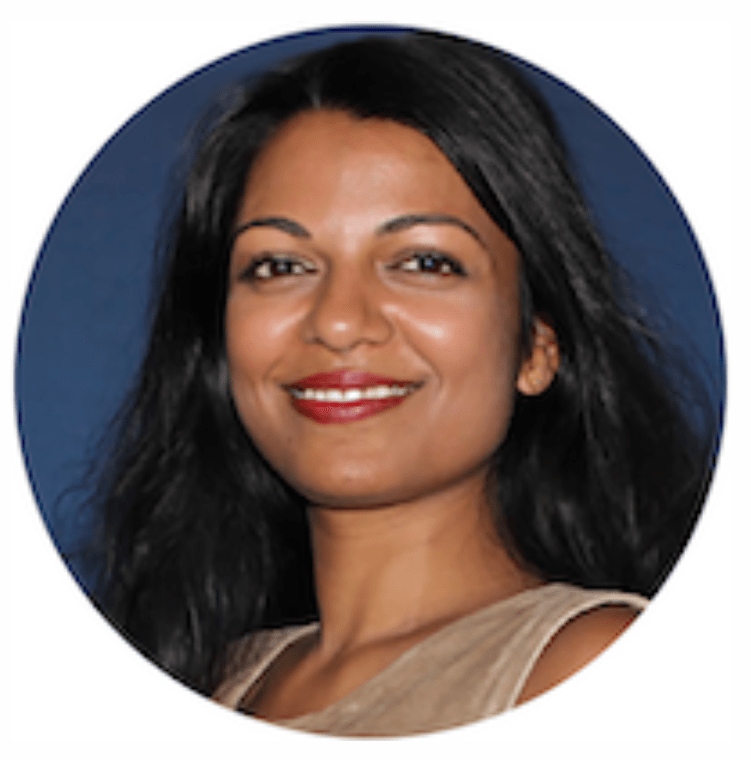 Smriti joined Visa in 2011, initially working in the Strategy team and then forming and leading the CEO Office. Prior to Visa, Smriti held a variety of roles in the US and UK financial services sectors. She began her career as an analyst in a US-based private equity fund-of-funds, where she analysed and recommended investments to multi-billion dollar pension funds, representing some of the largest institutional investors in the country. She then went onto lead a team of analysts at Moody’s Investors Service, assessing credit and investment risk within the Structured Finance group. Smriti held strategy and executive office roles at State Street Bank in London before joining Visa. Smriti holds a Bachelor’s degree in Business from the University of Southern California, and an MBA from London Business School. You can follow Visa on Twitter @Visa. Julia: Hello, my name is Julia Streets, and a very warm welcome to this special episode of DiverCity Podcast, talking equality, diversity and inclusion before a live audience of the Women in Payments Symposium in London on the 28th of March 2019. Our objective is to shine a light on positive progress, call out areas requiring further focus and offer lots of ideas to help drive change. Today I am delighted to be hosting a panel with three distinguished industry practitioners, Smriti Vicari from Visa, Rashmi Prabhakar from Finastra and Jackie Keogh from Western Union. Smriti Vicari is the head of FinTech from Visa Europe, overseeing Visa’s FinTech engagement strategy and delivery programmes. Rashmi Prabhakar is Chief of Staff Global Services at Finastra where her job is all about strategic initiatives and transformation and change. 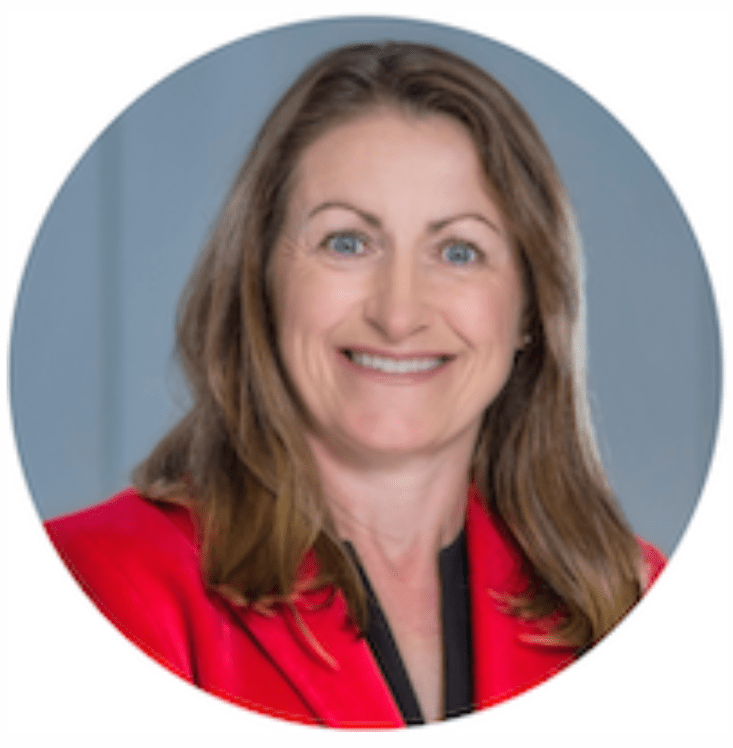 Jackie Keogh is the Global Head of Payments at GTM and Western Union, responsible for delivering commercial and business growth across the organisation. With that I invite this wonderful audience, of the Women in Payments Symposium here in London to join me in welcoming Smriti, Rashmi and Jackie. Thank you so much for joining me. This is a live episode, which is very exciting. Let me just start with the whole conversation about diversity inclusion. We talk about how any organisation that is late to the discussion is missing out and this is really all about the commercial impacts, the positive commercial impact that diversity and inclusion initiatives have on your organisations. I’m really keen to hear from each of you to start us off with, what impact your programmes have had. Jackie, let me come to you first of all. Jackie: Thank you very much. I’ll start with, we’re a 12,000 person organisation and 50% of our employees are female. Now why do we care? We care because 56% of our customers are female and people buy from people. The next element of why diversity is commercially important to us is that we have staff in 58 countries around the world. Culturally, they are 58 very different countries and we provide services in all but two countries in the globe. That means that we need to understand why people buy from us. I go back to my comment, people buy from people. Commercially this isn’t an option for us. We have no choice. How have we actually got to where we are today? 50% of our employees being female, 40% of our senior leadership are female, how do we get there? It wasn’t by chance and it wasn’t targets and it wasn’t initiatives. It was actually very much driven from the top. Our CEO realised that if he didn’t do something about it, he wouldn’t have a successful business. He realised that if he didn’t have the right people to engage with the clients that he has, he wouldn’t serve their requirements. It was led from the top and it was very practical. Everything we do around diversity inclusion is practical. It’s practical things like, we review our job descriptions to make sure our job descriptions are gender neutral and it isn’t he/she in the job description, it’s the are you willing to travel 70% of your time, that’s not possible for a lot of people and actually it’s not required in a lot of jobs. It’s practical things like our interview panel always has to have male and female on it and always has to have different race and cultures on it. It’s practical because we insist when we’re employing headhunters that they give us a group of people we can potentially employ that are both male and female and diverse in terms of their nationality. Its practical activities that we’ve done to get us there and it has to be continuous, the minute that we stop focusing on it. It is so easy to fall back to old habits because the biggest challenge we continue to face is unconscious bias where you don’t even realise that you’re not being inclusive or you’re not a diverse organisation and you’re not listening to your client’s needs. Julia: Thank you very much. I think that frames the conversation very beautifully, Smriti I’d like to bring you in here from Visa’s point of view as well, first of all, tell us about your initiatives and what you’ve been doing, but also very mindful that the world of FinTech actually is very male. We heard this morning about investment into Fintech as well. I’d love to hear what you’re focused on and thoughts around that. Smriti: Absolutely. Visa has really been on a journey when it comes to diversity and inclusion. I think sometimes what happens to a number of companies when they’re going through enormous change as Visa has and as many of your companies have, you get a little bit sidetracked from the employee agenda general and then also the diversity and inclusion agenda. I’ve seen over the eight years that I’ve been there, how far we’ve come. We have very similar commitment from the CEO, the Global CEO. I think one of the things that I think is most unique is we’ve created a gender council where the most senior executives in the company give up a significant amount of time every quarter to meet, look at the data, listen to very honest feedback and talk through what’s working and what’s not. The reason it’s called a gender inclusion council is because there’s been a lot of great work on diversity. There’s targets for diversity, there is a recognition across the board that we need more diverse candidates. Every single position has a slate of female candidates that are included in the roster of potential candidates to consider. But inclusion is something else. Inclusion is something else entirely. It doesn’t stop at hiring someone. It’s making sure she’s invited to the meeting. It’s making sure if she can’t attend the meeting that she knows what happened, that she has the information she needs to succeed, that she has the support that she needs. It’s taking that extra step and changing your daily behaviour and habits to address that. I think it’s a journey that we’re on and it’s something that we’re very focused on, we’re not 100% there yet. In terms of a commercial impact, we have a sponsorship that I’m particularly proud of. We sponsored the women’s football championships, The UEFA. It’s a fantastic sponsorship and our clients have been really interested. It was an open door. We were wondering, okay, are we taking a risk here by putting a lot of money into something that’s a female only sporting event and actually there’s been interest across the board, FinTechs, larger banks alike, they’ve all been interested. We definitely have seen a positive commercial impact there. One of my colleagues had a fantastic quote about diversity inclusion that I wanted to share with you that I’ve shared with each of you beforehand and its “diversity is an invitation to the party, inclusion is being asked to dance”. We still have some more work to do on the second. But I’m very proud of the progress that we’ve made. Julia: When you’re working with FinTech organisations, you talked about taking them on that journey with you around the football as well. Are you beginning to see some change now, are you insisting upon some change, are you encouraging change? 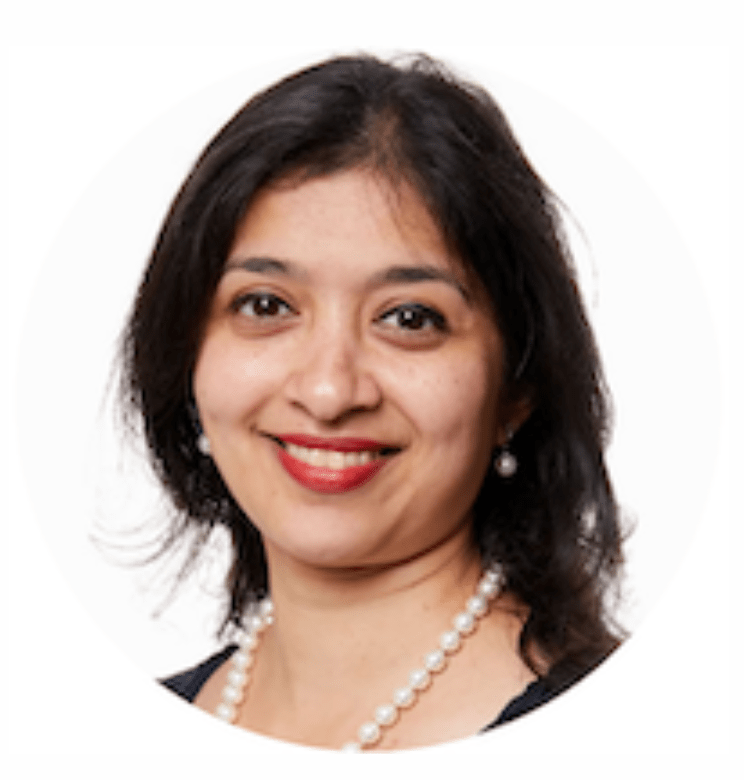 Smriti: It’s funny, I just came back from maternity leave, my second child a few weeks ago actually, and I walked into this role, it’s a new role for me at Visa and I met a bunch of FinTechs in the first few weeks that I was back, I met basically 20 something year olds walking around of Supreme sneaker. I didn’t even know what Supreme was. These fantastic shoes and tee shirts and so we were all very different, they were looking at me like, “Okay, who are you?” I was looking at them like, “Who are you?” So actually I loved getting to know them and I’ve seen a lot of openness from them to get to know different perspectives from me because I’m also not what they expected. I think they expected some older man to come and be like, well this is what’s happening in payments. And they were ready to have that battle. Like, No, “we know what’s better, we’re the new generation who know better.” And they get something like me in return. I think it leads to a really interesting conversation on both sides. I do see some openness. I think there’s a lot of work to be done because FinTech is still extremely, incredibly male dominated. Sometimes I feel like we’re moving backwards rather than moving forwards there, but every time I meet a FinTech team, I ask them, “Okay, where are the women, where are they?” Even if it’s a consultant that they’re working with? “Where are the women? How many women do you have on your team?” “Oh, we’re working on it, we’re working on it.” So it’s something I bring up every single time, so we have to keep fighting there. Julia: Let me bring in a Rashmi at this point about Finastra points of view, because you advise clients all around the world as well. Talk to us about your initiatives and how that’s driving change and what impact that’s having. Rashmi: Following on from what Smriti said, I think “I’m being invited to the party” and then feeling safe to dance is something that we talk a lot in Finastra. We’ve got a lot of EXEC engagement and buying and sponsorship. So the way we kind of kick started, I got involved with women at Finastra probably about 18 months ago. Since then we’ve kind of layered our programmes into five slices. We started off with a huge data analysis exercise like globally, where are we at? Not just gender, but race, culture, languages. The results which where just staggering. We have 95 nationalities globally within Finastra. We’ve got 10,000 employees and 9,000 customers across 130 countries. I think we keep talking about what is it that we should be doing to make it relevant. I think exec sponsorship, definitely one, a huge data analysis exercise that we conducted. The crux of it and the foundation of something that I’m very close to is coming back to the point raised earlier is unconscious bias. We all grew up in different countries, speaking different languages, different environments, different parenting styles that we’ve been experienced. We bring that all to work and then we’re all making decisions together. What I’ve quite consciously tried to do in every hiring decision, promotion decision, retention, rewarding is keep your biases at home or outside of the workplace and apply objectivity. What’s the skill set you’re hiring for? That’s a huge shift that we’ve seen at Finastra and 18 months the pace of change has been fabulous. It’s been very fast. But the decisions we’ve been able to make have been quick as well. We’ve been able to look at our policies, we’ve been able to look at our job descriptions. The journey is not over yet. There’s loads to do. About 350 people across Finastra have attended an unconscious bias training, the leaders who are involved in decision making. Following on from that, we’ve actually trained 40 trainers globally to then deliver the training into their site. I think that’s the crux. That’s the foundation of thinking or self-awareness, the mindset shift is number one. Then we move on to the decisions we make as a result of that self-awareness. The other two areas I think we’ve also rolled out are community networks and yes, I’ve heard before, I think on a panel earlier today we were talking about gender bias and we were talking about husbands working from home or not working, etc. I just feel you’ve got to be comfortable in your own skin. It is really important for women to have role models and that’s something lacking, I guess. It’s fabulous to see this room. It’s also fabulous to see some men in this room. I just feel we need to create a support structure where you can go to, you can be mentored, extremely important. We’ve got an executive sponsorship programme where we’ve identified high performing women, high performing is a word sometimes I’m not comfortable with. I think we need to look at potential and help them up the career ladder if you want to call it that. Whether it’s training, whether it’s inspiration speakers. I just feel that support structure, everyone in this room, I would urge you to reach out, find a mentor and also mentor someone. It’s just the possibilities are limitless. I just feel we’ve got to inspire others. That’s the only way forward. Then the final layer on top of this really is where do we go next? So the journey isn’t complete. You can’t stand still, you just, we cannot stand still, so it’s find your next challenge. So I do want to get involved in maternity returners like paternity or maternity parental leave you come back. I’ve had two kids. So for me diversity and inclusion is really cool. It’s the way I bring up my children as well. So I don’t just stop at work and go home and say I’ve got my normal kind of mum job. I just feel it’s really important. I’ve got a boy and a girl and the way I bring them up, I want them to grow up in a world where they don’t even need to think about this or come to events like this and they just consider it and accept it as they are. I think that’s really critical to me. Julia: A couple of things I want to probe away little bit at. One of them is, where are the sticking points? So when we talk about this, we’re on this journey of change and it’s a question to all of you. So please chime in as you prefer. What do you see as the biggest sticking points for change? Jackie: One of the challenges is you can only work with what you have. We talked about FinTech earlier and male dominated industry. The same applies for any senior role within an organisation. You can employ more ladies, you can employ different nationalities, you can train them, you can coach them, you can create all the opportunities, but unless you actually start building from the from the bottom up. You’re never going to get to an environment where you’ve actually got enough senior females. You’re just not going to have it. We as an organisation, Western Union are very fortunate to have a female CTO. That’s a rarity. You find me many seniors CTOs in any organisation because they’re like finding a needle in a haystack. One of the challenges we have is how do we build a big enough talent pool of females, of different nationalities by ensuring we equip the organisations to have that choice, to be able to benefit from that mentoring, to be able to benefit from the coaching, to be able to train people so that when the opportunity comes along those senior females or whatever form of inclusion we want to include in this, are equipped to actually step up and take those roles. That to me is our problem. If you look at any organisation, ourselves included, I can proudly say 50 males, 50 female, but the more senior you go up to organisation, the smaller that ratio is. That’s where our problem is today. That’s going to take time. Smriti: I’d like to add to that, I think I may be controversial in saying this, but for me, diversity is not just gender. I was reading an article earlier about the impact of diversity, but also ethnic and cultural diversity. The way I look around and when I look at my leadership team and I’m sat in a meeting and as the only female or woman in the room, I look at it in terms of where have all of the others come from and what are they bringing to the table? I refer to diversity as diversity of thought and of decision making. So if you’ve come with different experiences, the likelihood of your combined aggregated decision, you’re going to challenge each other. If you’re in a group of people where everyone’s going to agree to the same thing, you’ve kind of lost the point of being in a leadership meeting. I’d say the sticking point for me personally, I think it’s finding the time, I’ve done this as my evening and weekend job, so I’d say there’s a lot of people passionate within every organisation, but it’s how do you carve out the time from your busy day job to actually devote to this. For those who are really passionate, you’ll do it. I usually stick my kids in front of the TV and say I’ve really got to do these slides, there’s a workshop tomorrow and I’ve got to do it, but it’s important to me and so I do it. But also sticking point exec sponsorship, getting buy in from your execs, it’s kind of number one and having them visibly motivate the rest of the organisation I would say is critical to the success of any programme or initiative. Julia: Smriti, let me bring you in here, I did to pick up on the question about sticking points, but also another layer to that is the international dynamic. There are certain countries in the world that are very well versed in the value of diversity inclusion and there are other regions and territories that are perhaps a little behind the curve. I’m very keen to hear what as actually to all of you as well as global organisations what you’re doing to drive change into some of the further less mature to the discussion, territories? Smriti: I think that’s an excellent question. I think working for global companies like the ones that we represent is a very fortunate position to be in because they are very visible. They are very present in the case of Visa, it’s very much a consumer brand. We have a responsibility to lead that change in everything that we do and the marketing that we put out and the conversations that we have with clients. We’re very, very conscious of that. So we have offices in 60 countries in the world and they represent pretty much every country in the world. All of those 60 offices have targets for women in senior positions, where they’re not present we are actively working on bringing them in. Our CEO actually goes and visits those countries to make sure that there’s a strong talent pipeline. It comes across in the women that we promote to lead country manager positions. There are a couple of countries in Europe that have probably slower growth in terms of diversity and inclusion on the agenda. We send our most senior women out there to have those conversations. Our CEO in Europe is a woman, Charlotte Hogg and so we’re very lucky that she represents us and she actually personally has taken this as her mission. So she goes, we make a big splash of it and we make a big deal out of it, which it should have. I think that’s a key thing that we do. To build on Rashmi’s point as well, diversity of thought and the way we look at hiring, this is something we’re doing globally as well, which impacts the countries that don’t necessarily have this high on the agenda. I think one of the hardest issues that we’ve had to overcome, and this is something we all men, women, everyone, when we’re hiring we tend to try to find people that are similar to us. I’ve been guilty of this too. Okay. I want someone I can talk to that I like working with, which is important, incredibly important. But that doesn’t mean that person looks like you or thinks like you or has the same background. So we’ve been trying to encourage people in all markets to say, okay, if you want to hire a head of strategy in market X, they’re not necessarily going to have 10 years of experience in consulting and then five years of experience leading in-house strategy and then have done a huge deal at Morgan Stanley for M&A and then have done this and then have done that. And then have done this school. And then have done that, we still have people that create things like that, expectations like that. You will never have a diverse slate of candidates from different backgrounds, cultural, educational, social, gender, if you continue to think like that. So that’s actually being pushed very much from the top down. Julia: Of course the wonderful thing about podcasts is we run out of time so quickly at these events, but I just want to ask you for a final comments just on reasons to be optimistic. What are you optimistic about? Jackie let’s start with you. Jackie: I’m optimistic because there’s recognition and every solution is created when you recognise you have a challenge. I’m optimistic because we’re all here, we’re all talking about it, and because we’re not just talking about it as a concept but we’re talking about it as an experience that we’re all living and we’re all doing something about. Rashmi: I’m optimistic, I think for two reasons. One is Finastra is investing a lot in code.org, which is the art of code, to introduce STEM, science, technology, engineering and medicine in female population and school children. And secondly, I spoke at my son’s school a couple of weeks ago over international women’s Day, there were about 40 children and I kind of sat, talked about tech, I showed them punch cards, I showed them CDs and floppies and they’re like, “What are these contraptions?” But then when we got to the end of it, I said, tech is in your hand. It’s in your phone. Everything you’re going to do is on a device. The energy and the buzz of tech in that group of 10 year olds, which is fascinating. I feel that we’ve got to live on legacy through our children, through people, our nieces, etc. They are the next generation. Advocate and mandate for them to come forward and be in the tech world. I think that’s where I would focus. Smriti: I am optimistic because, when I went with my children to Rome to visit my husband’s family a few weekends ago, we went on the plane and my son who’s two and a half years old said, “Where’s the pilot? I want to meet her.” That makes me optimistic. Julia: What a great way to end our conversation. Wonderful. On that note we must sadly draw this conversation to a close, Smriti, Rashmi and Jackie this has been a fascinating discussion and with that, I invite this wonderful audience, the Women in Payments Symposium here in London to join me in thanking the panel. As always, to all our listeners around the world, my name is Julia Streets and thank you for listening to DiverCity Podcast. Kieron: This episode of DiverCity Podcast was recorded live at the Women in Payments Symposium in London on 28th March 2019. Thanks to Mark Berry and the team at ABC live for facilitating the recording. You can find out more about the guests on this week’s show on our website, divercitypodcast.com. Whilst you are there, you can also sign up to our newsletter for all our latest updates.